Game of Thrones has it all. Drama, politics, and even emotions. But did you know about all the blogging advice contained in it? While there were no words like “Traffic is Coming”, “Ranking Strong” and “Traffic and Comments”, there are some great quotes that can teach us things. 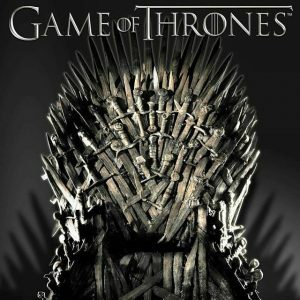 I am going to tell you about blogging lessons learned from Game of Thrones. This advice applies to almost all of us. We are lazy people. We will spend days reading blogging advice and still end up doing nothing. I used to have long periods like this. But then I learned my lesson. You have to apply your lessons to be successful. All the successful blogs out there aren’t successful because they read thousand or more blog posts. They are successful because they read a few and followed the advice. So don’t keep on reading. Go and do something. There is a lot of advice going around asking to do research and all that. If you are passionate, that does not matter. Do not be afraid of picking a niche that is crowded. A niche is crowded because it is popular. And in a popular niche, with passion and creativity, you can easily find your way. Instead of becoming a blogger who blogs for money, try to become one who. Blogs are social. You have to be a bit social. If you are out there blogging on your own, writing, writing and writing, there are very few chances of getting a readership. Instead, socialize! Go and communicate with other people in your niche. Even people outside your niche are not out of bounds. They can tell you a thing or two easily. No matter how much it is said, people will always look for silver bullets. Remember, there’s no tool that can make you a knight of Westeros in a day. You need to practice the basics. Do not let the crowd fool you. Just do the basics right, keep it simple and you will be successful. Do not hide your weakness. If you hide them, they will stay your weakness. Instead, try to improve on them. Don’t know English well? You can blog in your native language and learn English by side. Don’t know how to promote? Get a grasp of basic things and try them. Find what works and repeat. We all have been there. Afraid of publishing a post that might make you look stupid. But why do you fear? What will you lose? Most of the readers will ignore the post. Some will like it and cheer you. Some may criticize you but then if they can’t tolerate one slip, are they really worth focusing on? The quote itself doesn’t tell you much about blogging. But since this is one of my favorite quotes, I had to find some way of sneaking it in! And the reason I remember this quote is the story. The story is chilling and paints a picture hard to forget. All stories, to some extent, make us imagine things. That’s why they stick. So try telling stories and see if they improve your readership. My brother has his sword, King Robert has his Warhammer and I have my mind…and a mind needs books as a sword needs a whetstone if it is to keep its edge. That’s why I read so much Jon Snow. Tyrion has a sharp mind already, but that does not stop him from improving further. He knows his biggest strength and he knows that he has to improve. You need to find your strengths and improve upon them. Read, watch, listen and practice. If you’re good at promotion, go and do it. Practice. Improve what you know. Jaime: Three victories don’t make you a conqueror. Robb: It’s better than three defeats. Be optimistic. You do not become a successful blogger in a day. You do it in bite-sized pieces. And you celebrate! Got 1 more person sharing your post? Be happy! That is how you become successful.